The subject of Hollow Earth to me is fascinating and until recently I didn't give it much thought, but due in large part to the information highway I decided it was time to investigate. After researching this topic it became clear to me that The Hollow Earth Theory is the greatest kept secret of all time . . . or is it? The amount of disinformation on this topic is truly staggering! I consider myself to be pretty open minded, but the concept that our planet is hollow with an energy source in the center was pretty far fetched even for me, however one of my pet peeves is contempt prior to investigation and so I did what any good researcher would do I Googled it. I got 3,750,000 sites in 11 seconds, Hmmm where to begin, obviously I wasn't going to have a problem with finding information on the subject. The Hollow Earth Theory has been mentioned many times in various books on ancient man that I have read over the years. So I went back and found those books' sources and began reading. Is actually two books and explores the Nebula Theory of planet creation and the many arctic explorations up to 1915 when the book was written. It chronicles explorers of the far north and their discoveries, some of which never made it to the history books, including the massive supply of Wooly Mammoth tusks that have been found on the coasts that seem to replenish themselves. It gives us a clear look at what was known about the Hollow Earth Theory, almost one hundred years ago, from a layman's point of view. A book written but never published that used primarily all government documentation through the Freedom of Information Act and officials brave enough to come forward. This book is available online through scribd and is well worth the read. It documents the early round winged aircraft known as Foo fighters by allied pilots in WWII and the apparent inventor. It goes on to talk about the Hollow Earth Theory as if it is a well known fact among many government entities and the fact that the Third Reich was in contact with Agartha the main country in Hollow Earth and that Hitler was allowed to live out his days there and died in 1973. It shows that many governments on our planet have been in contact with those that live inside and yet decided for our own safety we should be kept in the dark (sound familiar). These next two books are both channeled information so not only is the subject matter hard to believe the source is from a party living within Hollow Earth and so is kind of hard to prove they actually exist. Covers a lot of ground from ancient history and the role aliens may have played in it to modern times and the potential for economic collapse, Earth changes and geographical upheavals. Pleiadians that are here to help us get through the ascension and polar shifts. The channeled information comes from a group that refer to themselves as the Transcendors and claimed that Mother ships would hover over every major city in October of 2010 (they must of been cloaked) which would have change our world forever. Is more of a spiritual message of hope from humans that live under Mount Shasta in the city of Telos and from Agartha inside Hollow Earth. Although they also refer to polar shifts and flooding, disease and famine they also offer hope and want to assure the human race that they will be there to help us pick up the pieces. They claim that once a race achieves a certain spiritual level of existence they move from one dimension to the next. Which is what the Earth is about to do, in the process the poles are going to shift dramatically causing much destruction. More advance civilizations due to edicts and laws (Council of Worlds) that govern their actions are unable to interfere, this includes the Telosians and Inner Earth inhabitants. Is a fascinating book written as fiction, which is often done to introduce new concepts to the world without having to face the ridicule from the scientific community, which can be incredible narrow minded. 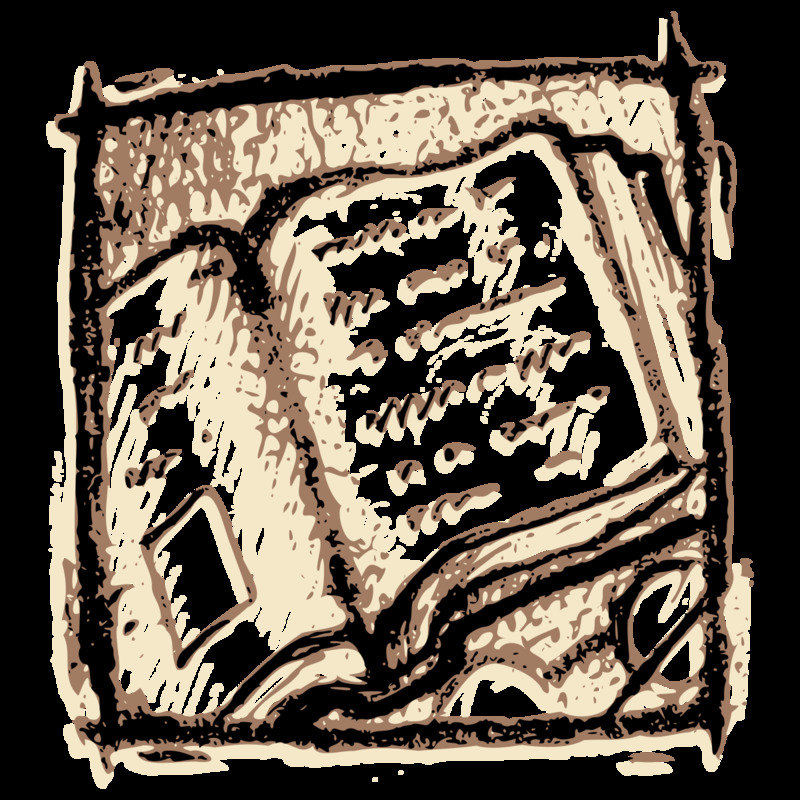 Since the author never reveales himself to the transcriptionist, much like channeling, we are left with choosing to accept the truth of the story or not. It chronicles a fantastic journey, by a member of a secret cult (freemasons perhaps) who when revealing the secrets of his organization to the public was instead of being punished by death or ridicule was instead shown why the secret knowledge must remain that way. He is taken on a journey through the Earth's Crust to a place where all the secret knowledge of our planet, the universe we live in and the spiritual nature of mankind is kept (Hollow Earth). Along the way many of his preconceived notions of the truth are shattered, startling wonders abound, until he is lead to reconstruct his world with this knew knowledge and asked to take the ultimate leap in faith, quite literally . . . and this is where the book ends. Still waiting for the sequel, eagerly. interesting tidbit: Etidorhpa is really just Aphrodite spelled backwards. Considering these five books alone describe in detail a world with in a world, it is easy to understand why it is difficult to know if Hollow Earth Theory is the greatest kept secret of all time . . . or is it, would be the title to my article. Not only is the concept absurd but the author should get some help soon! Suspicious . . . ! What gets me about all of these books is if there is no truth to these claims why try to discredit them and suppress the information, treat them as fantasy and move on. 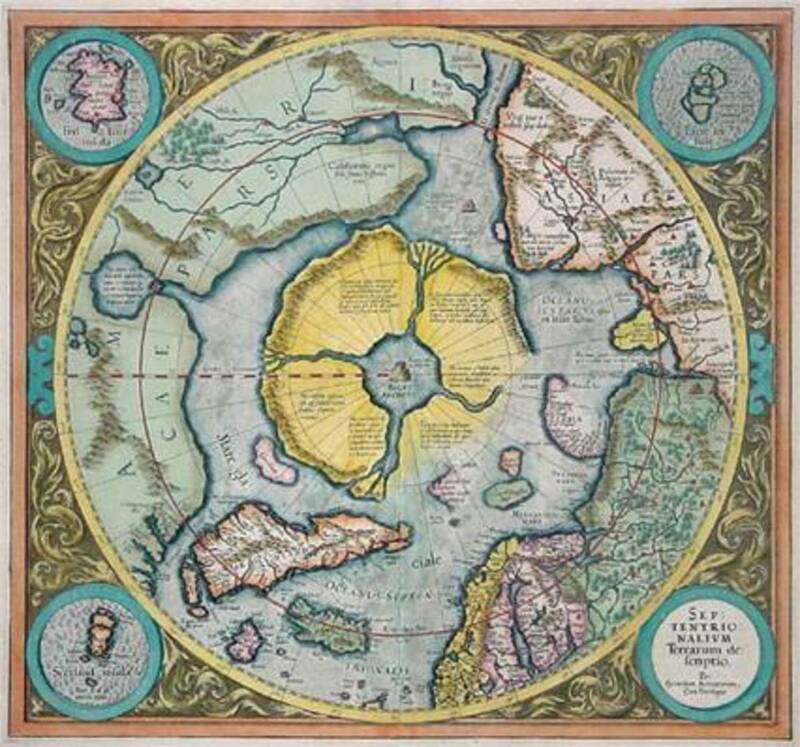 The Hollow Earth Theory has been mentioned by Jesus in the Bible (I believe in the story of Lazarus), was part of much controversy surrounding Admiral Byrd's Antarctic Explorations, was referred to in ancient Egypt mythology, also is connected to ancient Sumerian texts. It seems to me a lot of careful manipulation of the truth has been done to create the picture that the whole concept is fantasy and yet I got over 3 million references to it when I googled it, things that make you go Hmmmm! 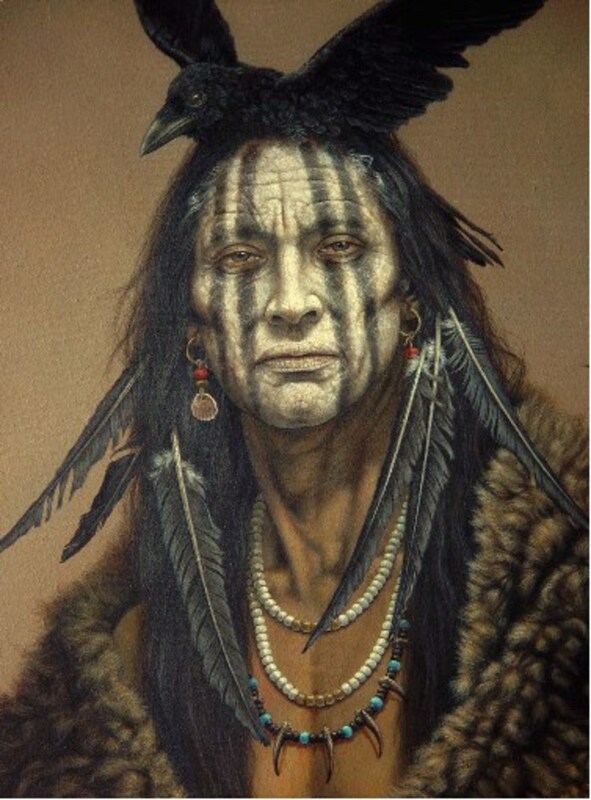 In many of the books they referred to instances where the inhabitants have tried to communicate their concerns with the many governments of the world and even went as far as signing treaties and agreements and exchanged technology in an effort to create peace. The fact that so many cultures world wide have these myths and legends concerning the Hollow Earth Theory is reason enough to dig a little deeper. Myths and legends are often found to be steeped in the truth of events that ancient man simple did not have the words for. How would an ancient man explain a cell phone or a car and then have an archeologist try to decipher the meaning 5,000 years later, see what I mean? While we are on the subject isn't it interesting that many of the concepts and technologies introduced to our society in the form of movies and science fiction books thirty to fifty years ago are now everyday conveniences. The cell phone reminds me of the original communicators used on Star Trek. 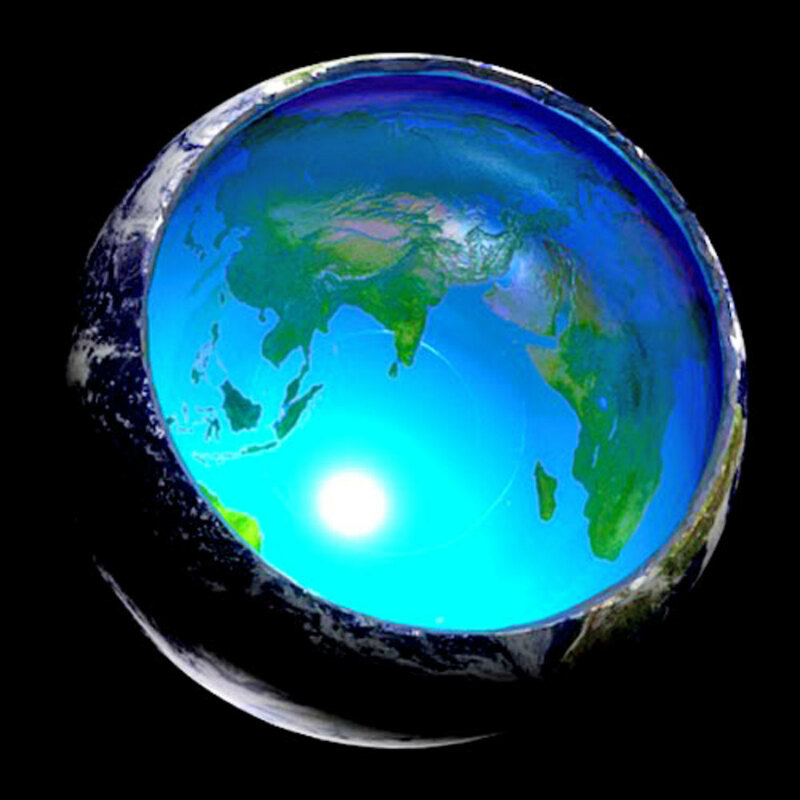 Shiloh, the website author, has created a beautiful site dedicated to the mysterous of Hollow Earth This person has a great attitude towards reality and the nature of it. Great source for Hollow Earth believers! Telos an ancient city created and lived in by the ancient Lemurian civilization at or around the destruction of their civilization in the Pacific 10,000 years ago. Knowing of the coming polar shift in advance they went about molding and shaping the interior of Mt. 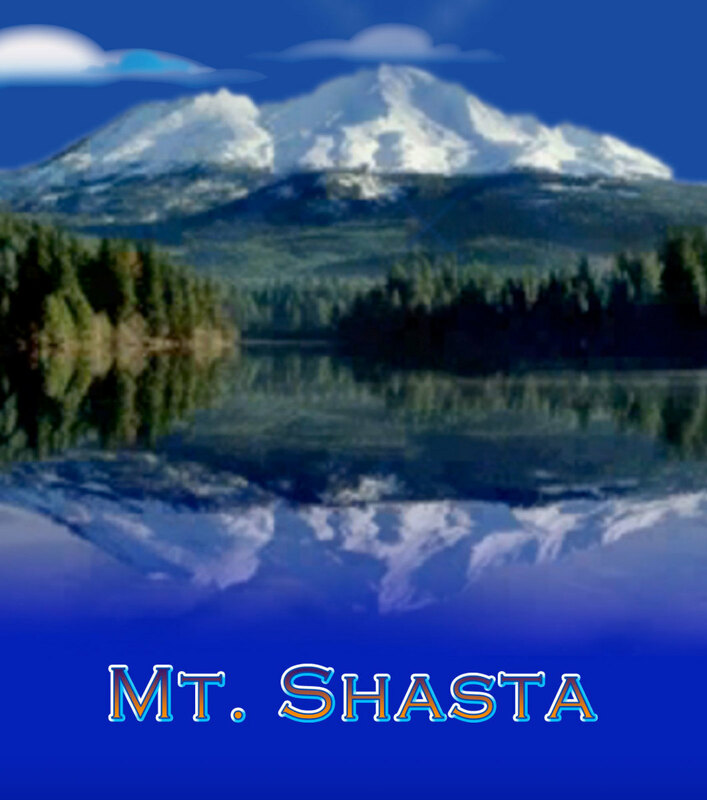 Shasta (the natural volcanic cavities often found in dormant volcanoes). First they redirected the lava flow towards the Pacific Ocean and then went about enlarging the natural cavities created by the lava. This advanced civilization has lived underneath the mountain in peaceful cohabitation with surface dwellers as well as Hollow Earth inhabitants. Their advanced technology allows them to monitor our progress without revealing their presence. In Dianne Robbins simple titled book Telos in which she channels information from these inhabitants explains their willingness to help but due to the laws that govern non interference with developing civilizations are unable to do anything but provide information. Because of the nature of this information many of us on the surface are simple unwilling to even consider the information. The video archive produced by Sharula Dux (a supposed Telosian living with us on the surface) also explains the complexities of the situation. I have always subscribed to the theory of hiding in plain site, is the safest way to safeguard any secrets. What better way to live, than inside the Earth where the temperature is always constant, the air is not polluted and the water pure. Where weather is not a factor and disease has been eradicated. What better way to remain hidden, while still capable or influencing events on the surface but to live inside the Earth? Consider the idea of an ancient race of man, that adapts to living inside the Earth in peace and you will realize, how thousands of years of peace, would allow them to make both technological and spiritual advancements, that make our accomplishments pale in comparison. When you consider that both Polar openings leading to Hollow Earth are closely guarded secrets both on the surface and within the Earth as well, it is easy to understand why no one really accepts the idea as valid. Even now, in our own society, both Poles are not only off limits to the public but inaccessible, while remaining largely unexplored or written about. Imagine what man might accomplish with 10,000 years of peace and the advancement of technologies uninterrupted by constant wars, disease and famine and bad weather? 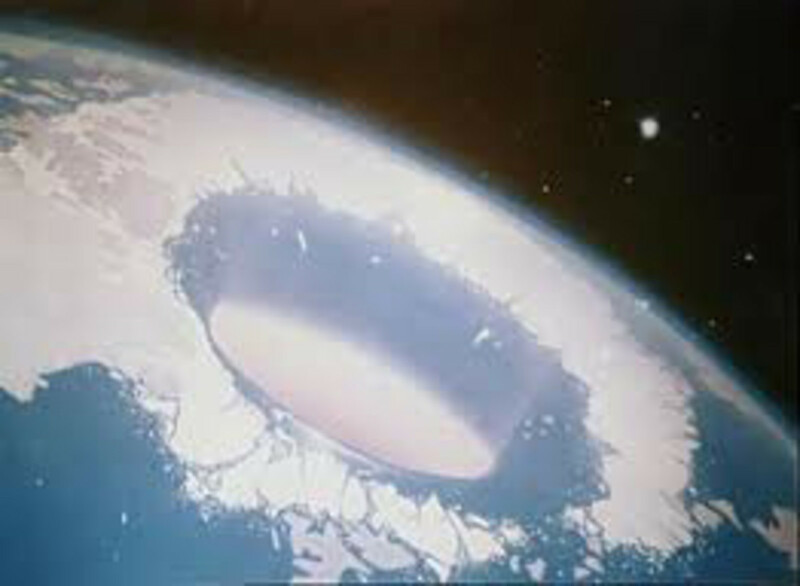 So in conclusion is the Hollow Earth Theory the Greatest Kept Secret of All Time, or is it? When I say the Earth is Hollow, what exactly do I mean? Consider the possibility that as the planet formed (the nebula theory) from the gases of the universe around a star, both the star and gas collapsing in on itself until it gradually formed a sphere around the now much smaller star. This sphere due to gravitational forces formed vortexes at the poles and as they tried to meet in the center were pushed away by the star and created a bubble with two openings on either pole. So as the Earth crust solidified what happened to the outside happened to the inside. 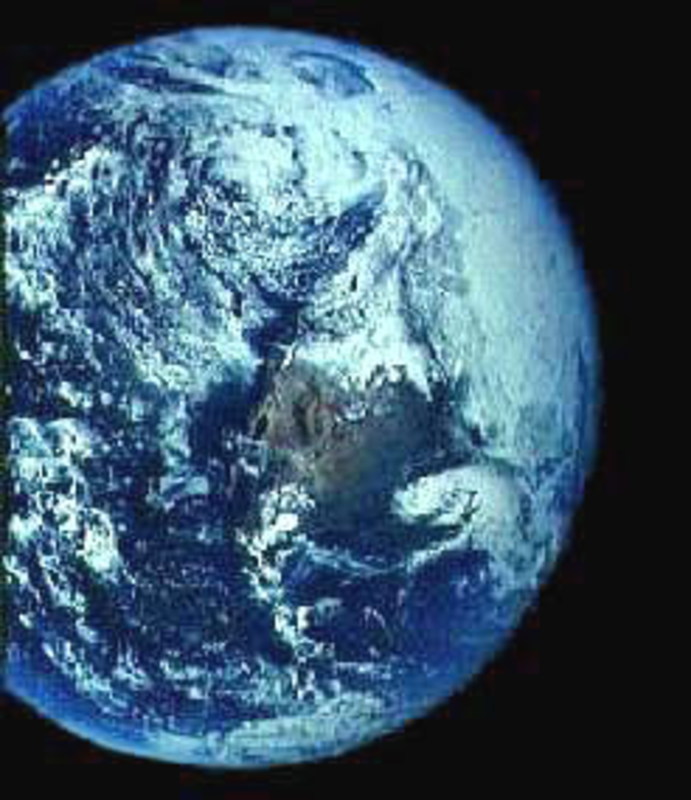 The inside of the planet would create a perfect environment for life to start as weather would not be an issue. The dimensions are that the crust is basically 400 to 800 miles thick depending on what source you choose to believe and since the Earth is almost 8,000 miles wide in diameter, that leaves roughly 7,200 to 6,400 miles. The Sun or Smokey God is roughly 600 miles in diameter which leaves 6,600 to 5,800 miles divided in half would leave 3,300 or 2,900 miles on either side of the interior sun, That is a lot of HOLLOW SPACE. The openings at either pole are so wide (1,400 miles) that a person sailing into it would never even be aware or see the hole as it is too vast. Even Admiral Byrd didn't realize that he was flying into a hole. Consider that Adam & Eve were kicked out of the Garden of Eden, meaning they were exiled to the surface, to live out their now mortal lives and become the originators of our race. What better way to create a planet than to allow it to mimic the most simple cells. Every cell has a nucleus and an outer wall or crust with the interior being Hollow . . . As above, So below. Hollow Earth . . . Greatest Kept Secret of All Time or is it, barely scratches the surface of this intriguing mystery, yet because so many people from so many cultures from every epoch of time have stories about it, then can we so easily dismiss them as myth? Genesis For A New Space Age by John B. Leith written 1980 but never published (go to Scrbd.com to read for free) is based on FOIA, whistleblowers and Government Insiders such as Adm.'s, Col.'s and Gen.'s and describes how many intelligence agencies treat the Hollow Earth concept as a foregone conclusion. Also Etidorpha (Aphrodite spelled backwards) is probable the most complete fascinating read on Hollow Earth based on the disappearance of Freemason William Morgan in the 1830s and his journey into Hollow Earth through Mammoth Cave Kentucky, great read. I believe I will do that. Thank you so much for helping me find a spot to begin to share them. Terzian, what you should do is sign up for Hub Pages and write about your friends. You will receive plenty of help getting started and it is fun and easy to do. Everything is done for you here on HPs, all you have to do is write. It is always refreshing to know that you can share any subject and be taken seriously, as we here at HPs are friendly and encouraging. I cannot tell you how good it feels to be able to speak of my friends without ridicule. Once I told my parents what happened they became angry and told me I shouldn't be lying and distorting such a miracle of God. It hurt. The Tekorans are an amazing people and I want to share them with everyone I just don't know how! I It's like having chocolate and trying to keep it to yourself. I can't do it! They also seem to have a great sadness sometimes that just breaks my heart. If I can help the world understand them maybe they won't be so sad. By the time they show themselves, the majority of humanity will be well aware of the deception perpetrated on them by scientists and religious leaders. This is the reason they have not revealed themselves en masse, because they will only do so when we are ready to accept them. I know it is frustrating to those of us that are willing to accept them but we know as they do, that the majority of humanity is not ready . . . yet. That is why it is so important for those of us that are to continue to encourage through writing on Hub Pages and other sites our version of reality. We may never know Lady G. whom we encourage or inspire or what article or words will have the greatest impact, so we must continue to work at enlightening each other by exploring, sharing and dispensing our knowledge. I read somewhere that they would surface in 2021 or thereabouts. We shall wait and see. Oh an you can bet the scientists and religious folk will say they are evil in some way or another or that we just have an active imagination. Well, just like any race or species (including ours) we have good guys and bad guys. God's love is for all species, especially not just the good ones. From my research they were the original species on this planet and went underground during the event that wiped out the dinosaurs 65 million years ago. They got a bad reputation from the treaty they made with the human bad guys of area 51 and also from David Icke's books. When the truth is revealed, hopefully soon, I suspect we will get quite the surprise in terms of how many different races of beings actually live on and in this planet. I ran too the first time but I was caught. What I have trouble understanding is why everyone says they are an evil race. I found this to be quite untrue. I was actually born deaf. The third time I encountered the one called Yallom he put me to sleep. When I woke he and another were standing over me and I could hear! They speak in a guttural whisper usually. My parents took me to the doctor and they couldn't explain my hearing being restored. I do not know if I have seen them or not. Now Terzian and Dirk have got me wondering if I did see one and got scared of it and ran into my house when what I thought I saw was a real troll in my woods. We do live above a large cavern. I have never been in it but there are stories of a child dying in there because they could not find him and they covered all the entrances. I know because when we had a tree cut down after I had a garden in the trunk part, I ran water from my hose in it to see if or when it would fill up. I ran that house for 1/2 hour into that hole in the trunk and the water never came to the surface. Someone once mentioned that they saw a greenish glow in the forest too a couple of years ago. Ok been following this a while now and Dirk you have given me some courage so here goes....since I was a little girl playing in the mountains in Maine I have known of a reptilian species. Very large with beautiful eyes and strong wings. 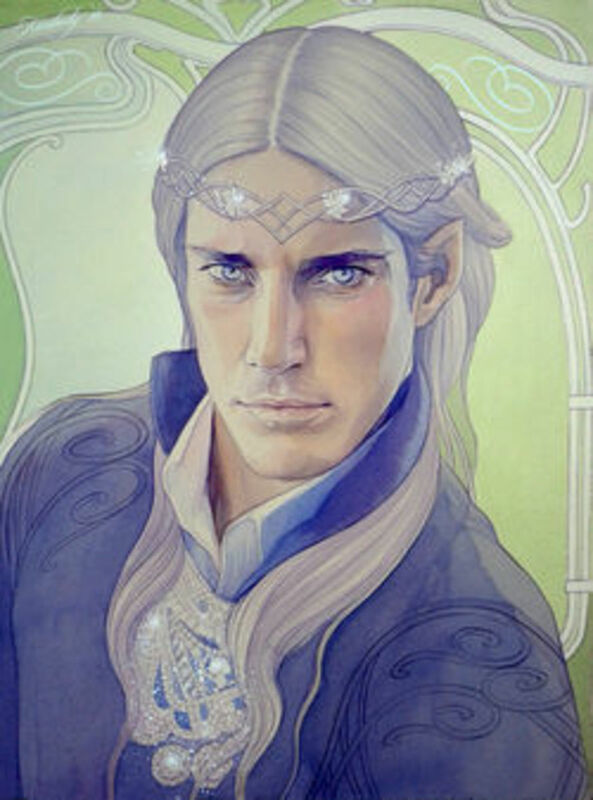 I believe they are the ones people are calling Draconians, but I came to know them as Tekorans. I have spoken of them once and was told the same as you. Have you met them as well? I would love to connect with another who has. They are incredible. Did you go in the physical or as an astral projection? Have you written a Hub article about your experiences? I have no problem with accepting this ascertain as fact, please elaborate. This is the first time I gathered the guts to speak out for I feared to be made a fool. I was 4 years old when I was taken for the first time down there, when I told my Parents the reaction was that I have a very rich imagination and have imaginary friends so the lesson was to never tell again. A must read is the e-book on Scrbd called Genesis For A New Space Age taken from all government documents and whistleblowers. The Hollow Earth theory isn't limited to just this planet but all planets, just like simple cells, fruits, eggs and many other forms of nature, we have a hard outer crust with life on the inside. The Nebula Theory is commonly accepted in today's science as explained in Marshall B. Gardeners classic Journey to the Earth's Interior and of course there is Etidorhpa (Aphrodite spelled backwards). Then we have Operation High Jump, Adm. Byrd's journey to the interior and many other stories, including the mystery of Adolf Hitler's secret submarine base. Nadine, that is cool I never heard of that!! I want to learn more about the Adam and Eve and Mars and all that. Daniel thank you for this hub. The first time I read about this incredible revelation was in: Secret of the Ages: UFOs from Inside the Earth by Brinsley Le Poer Trench. He was a firm believer in flying saucers. According to Trench other book: 'The Sky People' he claimed that the north polar ice cap melted on Mars, and this caused the descendants of Adam and Eve to move to Earth and that many of the other characters from the Bible originally lived on Mars, and that they were experiment creations of extraterrestrials. When I read his books in the early eighties I could not share this with many people, but for me I knew in my heart that there was truth in his theories. Yes. I took my hub down and posted it in Bubblews and split them up. Somewhere along the line I lost some information. Thanks for the clarification. Your talking about Admiral Forrestall that was pushed out the window at Bethesda Medical Center, he was the originator of project High Jump that Admiral Byrd commanded. Orrie, Many people are under the assumption that this is all a fantasy. When you give them facts, they will push it away. The governments do much to keep us in the dark as well as religion. Come away from that and then read all the evidence. Funny how you used it as science fiction. It amazes me that those things that were science fiction are real things now and yet they had not a shred of evidence to them and with this that has lots of evidence is shunned. Amazing how people cannot see right in front of them because of what aurthorities tell them is the truth. Why did Admiral Byrd kill himself? People do not kill themselves for false statements or evidence. Then again I watched a program a few years ago that got me into all this too and it stated that he was pushed out that window that many stories up. Why??? Does or did Germany have a NewBerlin in the Hollow Earth? There are youtubes of this stuff. Other cultures had stories of this and yet they are somehow lying?? Oh Come On now. If it were that simple I would agree but after researching the story and concept you begin too understand that it goes well beyond just fantasy. It becomes glaringly obvious that large amounts of information about Hollow Earth has been censored from public consumption and that alone begs the question why, after all if it was just fantasy, treat it as such and move on, why censor it? I like a good science fiction story and this tops the charts. OK I will tomorrow as I'm currently reading Tuesday Lobsang Rampa version of our (the planet Earth's His-Story), complete with the formation of our Hollow Earth and the purpose for it. Isn't it incredible how synchronicity works in our lives, that I would be reading information that reinforces my belief in Hollow Earth (different perspective) and would get a message from someone that is a firm believer. He is currently describing the Cave of the Ancients and the information clarifies everything I have read, believe and trust to be true in my heart and what my Overself has conveyed to me, awesome, can't wait to make contact, thanks for stopping by! were cool, I wouldn't have noticed it if you hadn't pointed it out. Thank you Blue, it's appreciated. This started happening when I had an argument with a certain other hubber not so long ago. They start posting odd comments under my username and I ended up losing a few followers over it. I'm pretty sure I know who it was. No big deal. It ok sparkster I deleted it, no biggie, it was months ago anyway. "Wow, what are you 12? Good riddance. I dont need to keep trying to convince a bunch of mentally handicapped hypocritical childish supposed adults of what reality vs bronze age ignorant fantasies. You gonna key in on my typos like children and site a bunch of ancient ignorant myths... What have you done with your lives? Ha. Bye." Say that to Walter Bosley, go on I dare you! yeah . . . in my latest Nibiru update I added a piece about the flooding in Cambodia, would you give us your perspective . . . please just a short piece on what the flooding and its affects are, I will link it to mine? Har! Har! Cell phones? Who could ever believe that crap. That's why science fiction is called fiction, dummy. Often science fiction is written specifically to introduce the truth to the public and make them aware of new inventions, concepts and ideas. In the '60's Star Trek introduced us to the cell phone and it didn't take long, did it? This conjures memories of one of my favorite, childhood movies with James Mason, Journey to the Center of the Earth. Excellent hub. Will be interesting to see when the New Paradigm is created if this knowledge will be released to those that care to know. Yeah I heard that one too, kind of funny in a way. Anyway if you are just now hearing about you might want to read Genesis for a New Space Age or any of the other links on this page if your serious about learning more. What are you rambling about typos and myths, you been smoking something brother . . . ?! Wow, what are you 12? Good riddance. I dont need to keep trying to convince a bunch of mentally handicapped hypocritical childish supposed adults of what reality vs bronze age ignorant fantasies. You gonna key in on my typos like children and site a bunch of ancient ignorant myths... What have you done with your lives? Ha. Bye. I have not heard of that link. I will definitely visit it. Thanks!! Lady G, it seems all the great Navy's of the past have their stories of Hollow Earth and yes I have read your article more than once and remember the great job you did on it. I'm wondering if you have ever visited this site http://hollowplanet.blogspot.com/ , as the author and I have shared many long conversations on the topic. It delves with more of the modern day discoveries but also has links to rare and obscure books and data, well worth the look. Con't forget about the Vikings. I have that in my hub about Agartha Hollow Earth, and the Bible references and the video's of such--The Nazi's were even making or had made a NEW Germany down there. Captain P&C I was wondering when you would make an appearance, the referred to label you take offense to is in reference to your writing style, which often times make your articles read like a textbook, if that offends you so be it. Whether or not you plagiarize material is up to the moderators to decide, not me, as I really don't care. Antiquated religion, which is all of them, don't demonstrate the Earth is Hollow, that wasn't the point and your smart enough to know that. The point which you obviously missed as you're coming into the conversation late is that the Hollow Earth theory is not mine and has been around for thousands of years and is even mentioned in the Bible by none other than Jesus himself. The Aztecs, Incas, Hopis and Egyptians all have mentioned this concept in their ancient text (not religious text, mind you)! Now that I have brought you up to speed I will expect nothing less than a full apology! Or you could create a clever nickname for me, say like Nutard . . . or Captain Truth, you get the picture! Wow Scott, that is some ancient stuff there. I bet you never read about Gallileo (sp)and his thoughts about Earth. That's some old stuff. He also didn't believe in that Turtle stuff, but you miss the whole point. Try researching the Bible for yourself. Read a book! Calling me "captain cut and paste" is a pretty strong accusation of plagiarism. Unless you can prove that I have plagiarized someone else's writing, I suggest you stop using such libelous language. Now, if you're referring to the fact that I research my articles instead of writing down whatever made-up drivel pops into my head, fine. Guilty as charged. And the antiquated beliefs of ancient religions no more demonstrate that the world is hollow than they prove the world to be a flat disc riding on the back of a giant tortoise. Thanks for getting my back Lady G. and Insane, these folks obviously have a limited imagination and capacity to learn, I feel sorry for them but sure do wish they would try reading a book once in a while. About the only thing these so called hubbers are doing Somethingblue is bring traffic to your hub. It is great to get traffic because it makes you money! Hahahaha. Though they re a bit b-o-r-i-n-g. There are places here on earth that have never been discovered until the last 50 or so years. NOBODY knew about them before! How can that be when these two hubbers think that everything is known? How do they know that someone isn't making them up because they have never been there. How about the many animals that have been proved, without a doubt, that they are extinct, yet they have found them and they are surviving quiet well it seems. If something does not want to be found - it won't. If the government wants to cover something up--they surely will. Never trust anybody that uses the words 'ad hominem' during a debate and, even more so, when they don't even know how to spell it, like Artblack01 just displayed... LOL! First all it isn't my idea, this theory has been around since the ancient Sumerians, Egyptians, Hopi, Incas and Aztecs and the list goes on and on . . . for thousands of years! Second of all anyone that subscribes to Gruber's cut and paste writing style should be familiar with a textbook, so I suggest that you read the many references made to it . . . in say the Bible for starters (Exodus) and the 100's of books written on the subject. However if you choose to remain ignorant you certainly have a head start on your choice of mental dexterity, feel free to grow a brain at anytime! Ha ha, just thought I'd show you an article by someone who has proved how childishly stupid your hollow earth idea is. I realize no matter what I say you'll just give me your childish ad hominen attacks so why should I bother arguing with a child? Your comment is a link to the Master of Cut and Paste, wow if that is all you have, go back to the kiddy's table, your dismissed! Here is the thing for those of you that are having a difficult time with the concept of Hollow Earth, since I cannot get on a boat or a plane and go to the North Pole entrance then I cannot PROVE anything. However because I have a brain, I can speculate and write what I know and believe. Artblack01 your an idiot and unless you have anything useful to add, any further comments will be deleted, so don't waste your time! Just as much as you are on the internet. I can't see you so therefore you must be a game too....right. I get you guys now! This is some kind of fantasy role playing game hub where almost no one involved has any real notion about reality because it's any fantasy they can think up is literally true... In your mind.... Right? We would not have things like Cell Phones, Pagers, Skype because all were imagined first. I was looking for a word beyond pathetic but antagonizer will work . . . if all you got are tired old cliches go back to the kiddies table. I'm sorry if the World has moved on without you but someone somewhere will have a need for your cut and paste skills. NASA always has a need for wannabes and hasbeens. scott you are an antagonizer and that is all you are. You wouldn't accept anything even if it was right under your now. You have no PROOF it doesn't exist. I mean actual proof. Smoke screens is all you can dish out. Think outside of the box and you may just learn something about yourself in the process. The only thing that those links prove is the old adage "a fool and his money are soon parted." Still - I wish them well on their excursion, and hope they raise the funds to do it. It will be interesting to see how they spin the fact that they never find a hole to the Inner Earth. My guess - they'll chalk it up to some elaborate government conspiracy. I am forwarding this Ark Newsletter from our expedition leader, Dr. Brooks Agnew. He’s got some good news, money has been provided to charter the ship for our North Pole Inner Earth Expedition for next summer 2013. If all goes well, next summer we should be coasting up to the shores of the inner continent, and we will be taking photos all the way. Of course, there is no guarantee we will make it, or get permission to enter the polar opening, but we’ll give it our best try! YOU NEED PROOF . . . . THERE IS YOUR PROOF . . . NEED MORE PROOF GO TO THESE LINKS! Thank you for taking the time to post all of this that was very nice of you! scott, well it was thought that gravity os the rotation of an object and then they change that THEORY to something else...so who knows what gravity REALLY is? Tunnels? You mean Huge Cities that go down many, many floors. reported within and surrounding the hospital area. The nearby Ft. Lewis has been implicated in certain New World Order predatory activities. BTW I am seeing that ignorance is bliss here! Though that can be a BAD thing sometimes. @Artblack01: You can't even comprehend what people say, let alone do math! LOL! "DO you know how gravity works? Do you know how mass works?" Well, to be fair, the brightest minds in physics and cosmology are still iffy on those. Insane Mundane, being able to dig tunnels and bunkers in the Earth doesn't prove that the Earth can even have the possibility of being hollow. Why don't you do some math, calculate the size of the Earth and the amount of weight an object would have to be able to support before falling apart and compare that with man made structures like say the World Trade Center, or The deepest cavern ever built and so on, you will surprise yourself... hell you'd all surprise me if you could actually do the math. Yes, people can dig tunnels underground. Some mine shafts go several miles underground. Erosion can also create extensive underground caverns. This in no way proves that the Earth is hollow. All it demonstrates is that people can dig holes. What does carvings in rocks have to do with how deep a cavern can go into the Earth before magma spews out? Do you know how deep the Earth's crust is???? Do you know how friction works? DO you know how gravity works? Do you know how mass works? 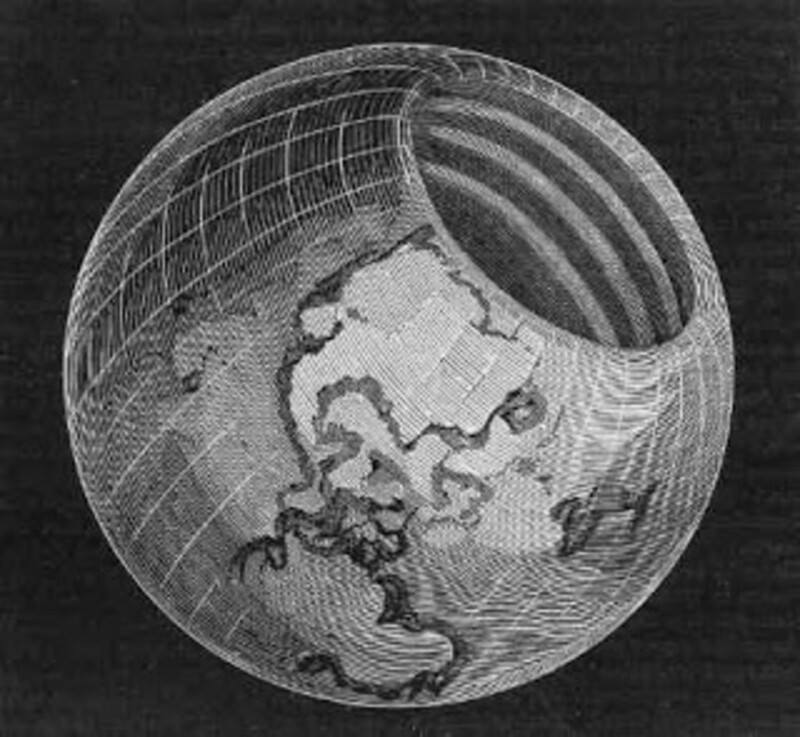 My mind is blown by how you think the Hollow Earth can be possible. Oh they do, but they have boarders. On those boarders it is called The Ring Of Fire and there is where all the activity is, not on the interior portions. Just like there are pools of water and the oceans, but there is land in and around those. Lady Guinevere, where is your evidence that one, "Plate tectonics do not cover the whole of the earth." Which of course THEY DO. Do you have any idea how Carlsbad cavers is formed and why it doesn't cave in? Are you a scholar in this area? What is your expertise and how does anything you have said have any validity other than being the opinion of someone with no actual knowledge or grasp of reality? People have lived for hundreds of years in this village, carved into the rocks of a hillside overlooking Rhone, France. All kinds of freaky stuff can happen underground... I think the "hollow" concept is what throws the monkey wrench into the equation for these mechanical thinkers of limited cognitive function and science journal dependencies... Just think about all of the underground tunnels and private bases, bunkers, caves, lakes, etc. For example, does anyone here dispute that the ancient Egyptians didn't have underground tunnels underneath some of those lovely pyramids? Plate tectonics do not cover the whole of the earth. Anything can be possible inside those rings or plates....and it is a huge area---just like the continents they surround. There be many more caverns than just the Carlsbad and much deeper too. "Since none of will be running the North Pole Marathon especially in the middle of the Ocean that is somewhat obtuse piece of information and hardly proof of anything." The fact that people run a marathon at the North Pole year after year and none of the participants have ever fallen into a giant hole at the pole is proof that there isn't a giant hole at the pole. It's also proof that expeditions to the poles are not forbidden by the U.S. Military. And you're not one to be whining about something "not being proof of anything," as you have yet to ever provide even a single piece of proof for any of your claims. Now, about those F-15s. Where's the proof that polar explorers, researchers, and marathon runners are "escorted away" from the pole? somethgblue, there is no evidence to indicate that the Earth is hollow, the North Pole has been explored, no one need run a marathon because no one who has ever been to either polar region has stated that such an entrance to a hollow or even cavernous region of the Earth exists. Even Carlsbad Caverns has been mapped and it can only go so deep. 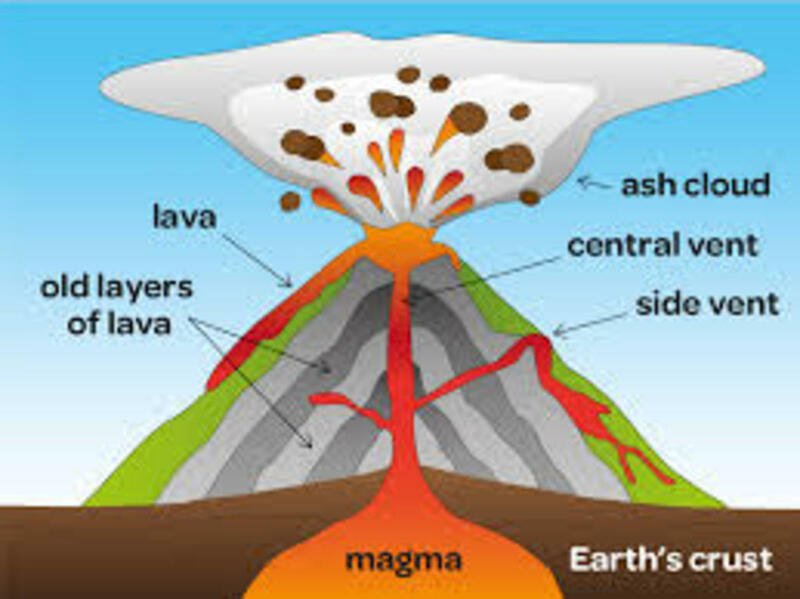 Do you know how magma forms? It's caused by the mass of the Earth's putting so much pressure on the lower regions that it melts rock, now the further in you would go the mass increases these pressures there by making the rock even more hot, the likelihood of a hollow Earth is laughable at best. Basic physics will tell you that. Plate tectonics is caused by the liquid rock pushing the surface of the Earth, like an ocean pushes boats or any other floating object, to put it in terms you should understand. Since none of will be running the North Pole Marathon especially in the middle of the Ocean that is somewhat obtuse piece of information and hardly proof of anything. Feel free to believe what you wish Scott if wallowing in ignorance is your cup of tea by all means who am I to stop you. "we were told by our professor that there was a new fringe theory around called "continental drift" or "plate tectonics" that was too weird to be true." And then plate tectonics was demonstrated to be true by geologic evidence. Now it is one of the most well-accepted theories in all of science. Provide the same degree of proof for the Hollow Earth "theory" and it will be accepted as well. Current science, physics, geology... has shown that the hollow Earth theory is not possible and not believed by anyone rational. Someone else mentioned this and they said, "I was a Geology major in 1966 and was taught in historical geology the complex and clumsy "Geosynclinal Theory of Mountain Building" and had to regurgitate to entire process on the final. we were told by our professor that there was a new fringe theory around called "continental drift" or "plate tectonics" that was too weird to be true." "I can give you just as many Scientific ERROR information as you can provide us with other evidence." So can I. The history of science is filled with errors and incorrect predictions and outright hoaxes. The beauty of science is that it is self-correcting. Further research has corrected the errors, improved the predictions, and exposed the hoaxes. That is exactly why I do trust science and not the "other parts" of the brain. Science works. Crackpot conspiracy theories do not. Well now thank you because now we have something to work with. In her article my hub is also listed and I believe the "unbelievable" contrary to those who ONLY rely on scientific data and not what is in their other parts of their brains. I can give you just as many Scientific ERROR information as you can provide us with other evidence. Let's see what Somethingblue comes up with that isn't already in her article. If marathoning isn't your thing, you can arrange a skiing or hiking expedition to the North or South Pole with either of these organizations: http://www.extremeoutdooradventures.co.uk and http://www.ousland.no and http://polarexplorers.com. Not a single testimonial on any of their web sites mention being escorted out of the polar region by U.S. F-15s. Nor do they mention a giant hole at the pole. You can also charter a flight over the pole with Kenn Borek Air: http://www.borekair.com/. It'll cost a pretty penny - a few hundred thousand pretty pennies, in fact - but again, no reports of Kenn Borek chartered flights being escorted away from the pole by U.S. F-15s. So now that I've provided plenty of evidence against the claim, can you provide one shred of evidence for it? "Many people have tried to set up expeditions and have been shut down by the US military, some people have tried to fly over the opening and were escorted by US F-15 out of the area." And that Lady G. is why I don't trust science! Oh and those very scientist and all told us many years that we would never fly either, but yet we have been to the moon ott times. How about that fish that was thought by scientists, to be extinct and here it is, not extinct at all. You go girl!! They be brainwashed! Many are. Many people have tried to set up expeditions and have been shut down by the US military, some people have tried to fly over the opening and were escorted by US F-15 out of the area. So before you write a mini hub on YOUR ignorance perhaps a little research is in order! President Lincoln tried to set up an expedition to locate the entrance and was assassinated, many very rich people have tried to prove it and they all have been shut down in their attempts. So like the Bible says . . . get a clue because basically you are simple displaying your ignorance for the rest of us . . . talk about being taken seriously! why doesn't one of the individuals who put out enough info that triggers 3 million hits on google go ahead and prove this already? if you want to be taken seriously, put money where your mouth is and do like a reality tv/live feed that shows people trying to make it to this inner earth. amount of hits is nothing at this time googling "hollow earth" gets 11.9 mill hits .21 sec but HOLLOW EARTH IS FAKE gets 12.2 million hits in .14 sec. reality is that this is not possible and it will always be a theory. seriously if you believe nazis figured it out then why cannot mankind replicate the results? think about it, nazis had to do it during a war and had to keep it a secret. since so many people believe in hollow earth theory, then replicate it. if you want to believe in something there are over 1 billion CATHOLICs that exist. that is 1/6 of the population of earth believe in the Virgin Mary, the Trinity (Father, Son, Holy Spirit) Papacy etc. belief in God (which includes Catholics and other groups of Christianity) is a third of the world. the next largest group of religious people are the MUSLIMS which takes up another 1/3 of the planet. so just like the bible states Abraham's kids (the Jews, the Muslims, and Christians) will be given the earth and that is a religious fact of today go ahead and google it i can even provide sources from academia (ie. university level) sources too. don't get me wrong. I'm Catholic so I'm bias. Catholics are allowed to believe in evolution and the big bang theory is made by a catholic too. but as a Catholic, we also tread on the fence and realize until proven these are theories. i also like humouring that 9/11 is a big US run event but seriously this hollow earth stuff is too out there! i find it easier believing the Dante Inferno version of the interior of the earth then a mini sun being located there! That there are large underground military bases all over the World there can be no doubt, the Earth is honeycombed with huge caverns, underground rivers, lakes and oceans, for a city to exist underground on a scale you can't perceive doesn't surprise me based on the fact that you seem to think that the level understanding of physics humans have attained is complete. The only reason you haven't looked into the Hollow Earth idea is that you are narrow minded period end of story, don't kid yourself. The only reason I never took the Hollow Earth idea seriously (and never will) is that I was introduced to the subject of Physics at a young age. It's not possible for an object that size to be hollow, it's like saying, I can lift a million tons or even pounds... not likely, but if the hollow Earth is possible then you better believe I can lift a million tons, with my bare hands. Thanks Lady that was a good read! Found another article for you to link to. You started it, so we merely responded you suckered us into it, well done! No one is saying 9/11 was faked, we are simple stated the official version is garbage! @Rob: Under definition No. 1, I think my use of the word "holocaust" is proper. And I don't deny that there have been much greater holocausts. I think you are knitpicking. 1. Great or total destruction, especially by fire. 2.	a. Widespread destruction. b. A great disaster. 3.	a. Holocaust. The genocide of European Jews and others by the Nazis during World War II: "Israel emerged from the Holocaust and is defined in relation to that catastrophe" (Emanuel Litvinoff). b. A massive slaughter: "an important document in the so-far sketchy annals of the Cambodian holocaust" (Rod Nordland). 4. A sacrificial offering that is consumed entirely by flames. As for bodies, according to news stories, they are still trying to separate the cremated bones. But I forgot, this whole discussion was about the incident being faked. I don't buy the 9/11 Commission report either, but it hit too close to home for me to believe the disaster was faked. But what does this have to do with Hollow Earth, and I'm asking myself, how did I sucker myself into this discussion, anyway? I read the 9/11 Commission Report and it was a Fluff piece, they didn't supeona one document. They went to heaven to be with Jesus, where they now sit and wait for the day they can watch infidels fry in hell. Seriously, it is a fair question. The guy in the video I mentioned talked about it towards the end and mentions how few people showed up at LAX to wait for their loved ones. He also mentions some other anomalies and speculates that there were no planes. However, if the person above is to be believed, there must have been at least one legitimate flight involved. It doesn't discredit any of our "wild" conspiracy theories, though. We're stuck with trying to put pieces together that fit. The 9/11 commission didn't have to do that. They just whitewashed the whole thing. The person originally given the job of heading up the commission quit, by the way, because he was frustrated by his inability to actually investigate. Instead, he was spoon-fed information he was supposed to accept on face value. I used to get very frustrated with the idiots that are unwilling or unable to grasp the fact that they are getting lied to about 9/11 until I watched that video on one of your hubs about the social psychologist's from the Peoples Republic of Boulder and Cognitive Dissonance. Now I understand that they are frightened mice and haven't evolved to the sheeple stage and their self imposed ignorance no longer surprises me. After all if people aren't brave enough to explore the truth then they deserve to be left behind. Genetically weak minds should be exposed and bread out of the gene pool. I always find it interesting when I offer the no planes theory that the first thing people always ask is where did all the people go . . . it shows me that sheeple truly need others to think for them, incapable of making the connection that no planes equals no people and no bodies. A million people go missing in America every year, where do they go? Thousands of children go missing every year, where do they go? The plane in PA that 'supposedly' crashed, no bodies, where did they go? The plane that supposedly hit the Pentagon, no bodies, where did they go? Use your brain what is the common denominator, planes supposedly total vaporized, no bodies, where did they go? My original comment was not as kind as the one above. I've just about had it with people who still think the US was the innocent victim of a terrorist attack. As for the "holocaust" - I don't know and no longer care. The state of Israel beats that drum now to divert attention from its own evil deeds. I can't believe you deleted your own comment, now you have me curious, as you know I wouldn't have! Gruber wrote an interesting article, I'm beginning to wonder if he is actually a paid debunker, if he is he need to get better at it. The Holocaust was actually first used long before WWII by the Governor of NY to describe the atrocities the Russians used on the Jewish population during and after their revolution and around WWI. It is interesting to note that an AP poll of the Worldwide Jewish population in 1939 had it around 5 millions and another taken in 1945 had it around 4 million so how did the Nazi's kill 6 million, did they only kill Jews under the age of six? MizBejabbers comment was interesting, but I'll risk sounding heartless by commenting on her use of the word "holocaust." Far greater "holocausts" have been inflicted on the people of Afghanistan, Iraq and Libya since the launch of the War on Terror, yet there is zero connection between 9/11 and those invasions. We may question each other's views about what really happened on 9/11, but one thing is certain: the official story is a fabricated one.